31st March 2014. What an exciting day. It has been 2 years in the making since the Hear our Heart Ear Bus Project started fundraising. 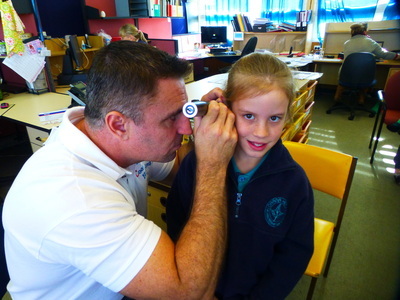 Who would have thought that we would be conducting hearing testing and healthy ears lessons in schools so soon. 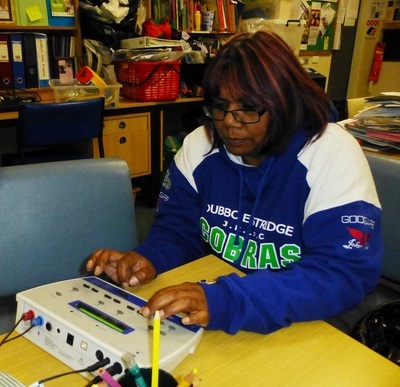 It is because of community and school fundraising support and 2 generous grants from St George Foundation and Oticon Foundation that this has been possible. Principal, Mrs Pauline Walkom said "St Laurence's are privileged to have been ' first cab off the rank'. Very proud to have been part of this project! This makes such a difference to our students and their learning. Thanks to all the Hear our Heart team"
On our very first day of hearing testing at St Laurence's Primary in Dubbo we were so proud to be able to put back into our very supportive community what you have helped us to create. 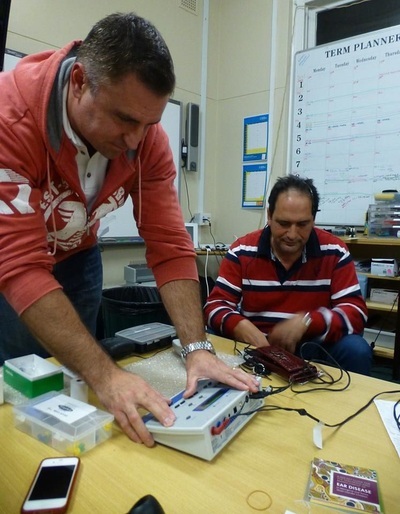 We tested 43 children plus Jules Jarry from Star FM,... Dubbo!!! 9 children were diagnosed as needing to have some follow up treatment. 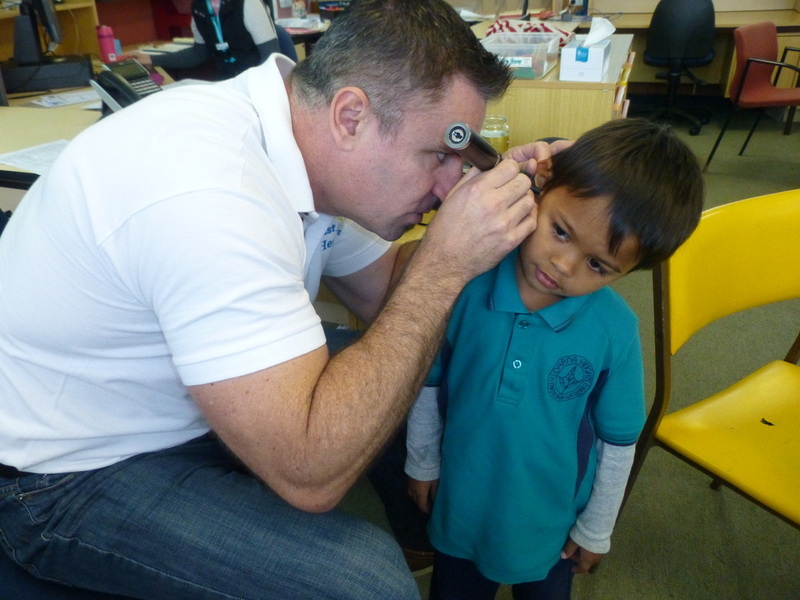 That's 9 children that will have better ear health and educational outcomes because of us. The children were educated about how to keep their ears healthy with the healthy ears puppets Sam and Lucy, before we started the hearing testing. 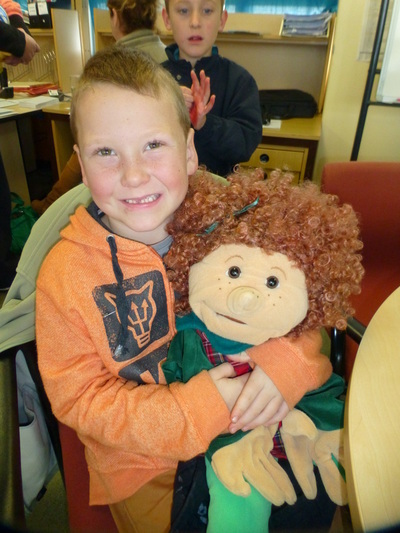 The children worked with the Healthy Ears Puppets 'snotty' Sam and Lucy doing their nose blowing lessons. 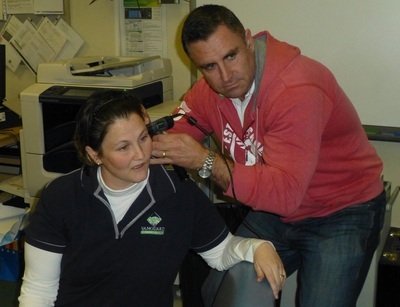 Teachers had staff education about ear problems and how to detect and prevent them. 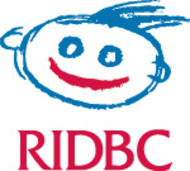 RIDBC and Travis Hall from Hearing Life in Dubbo conducted targeted hearing tests. Targeted means that teacher and parents work together to chose the children who need testing as they meet the criteria on our checklist. To view our checklist see the bottom of the otitis what? page on this website. Throughout the day we tested 124 students and had 55 children needing follow up appointments. 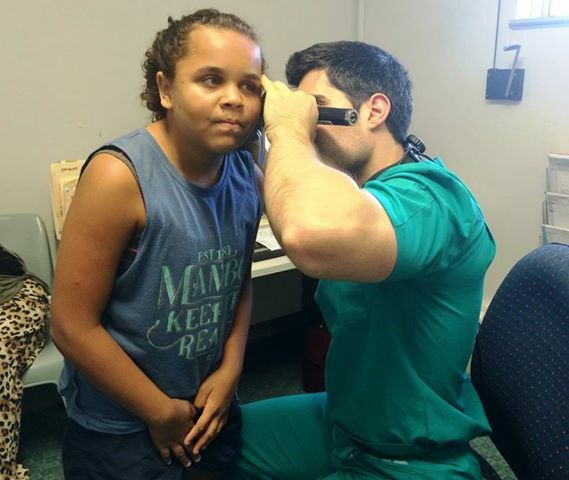 3 x children need to see the Ear Specialist. 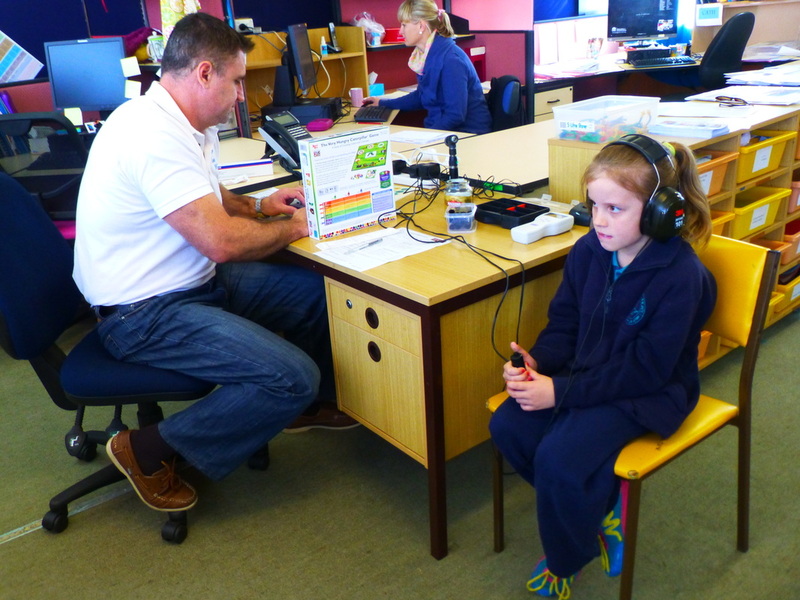 What an awesome way to finish hearing testing today at Orana Heights Public School. Our very qualified Audiometrist, Gordon Rutter from Central Coast Hearing, held a meeting to teach us all about the hearing testing equipment that we will need for our Ear Bus. Some of us had a hearing test!! 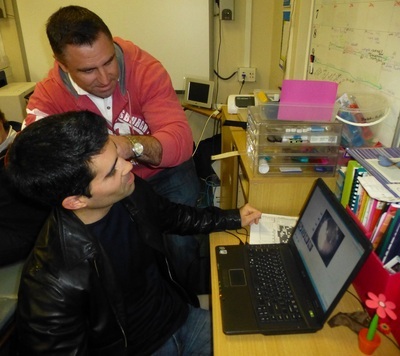 Dubbos' Ear Specialist Dr Taeed Quddusi came along to lend a hand which was great. As he will volunteer on the bus it was good to get his idea of things he will need when he is on the bus. We were very impressed with the video otoscope that Gordon showed us. It can take pictures and videos of the ear drums. This can be emailed straight to Dr Quddusi from the Ear Bus. WOW. Gordon will now help us order all of this equipment. So exciting that it is all coming together. Two massive days of testing at Orana Heights. Results collated already thanks to the efficiency of the partnership team. We are very pleased to say the prevention lead up BBCWC program made a huge difference to results. We managed 82 full screens. Included otoscopy, tympanometry and audiology. We have 25 follow ups. Including some again for suspected permanent loss. Referrals now for GP, ENT, and full diagnostic hearing assessments. HOH & partners are certainly making a difference to these children's lives. 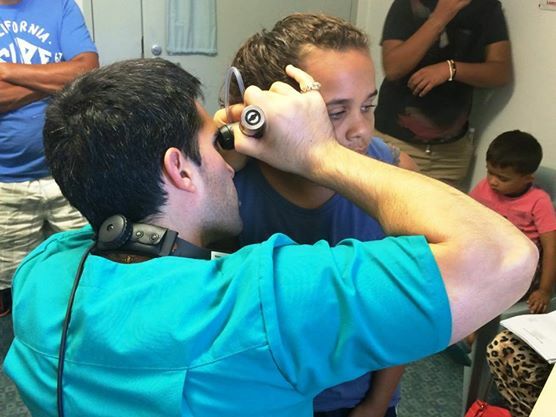 We have officially held our very first District Town hearing screening! 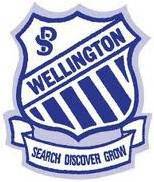 We were based at Wellington Public School. Thanks to our partnership with Wellington Aboriginal Health Service and Gordon Rutter at Central Coast Hearing we tested and amazing amount of children. We tested children from Pre School to High School ages. All schools/childcare centres in Wellington (including Nanima and Mumbil) were invited to send 2 children to be tested. most schools utilised this opportunity. 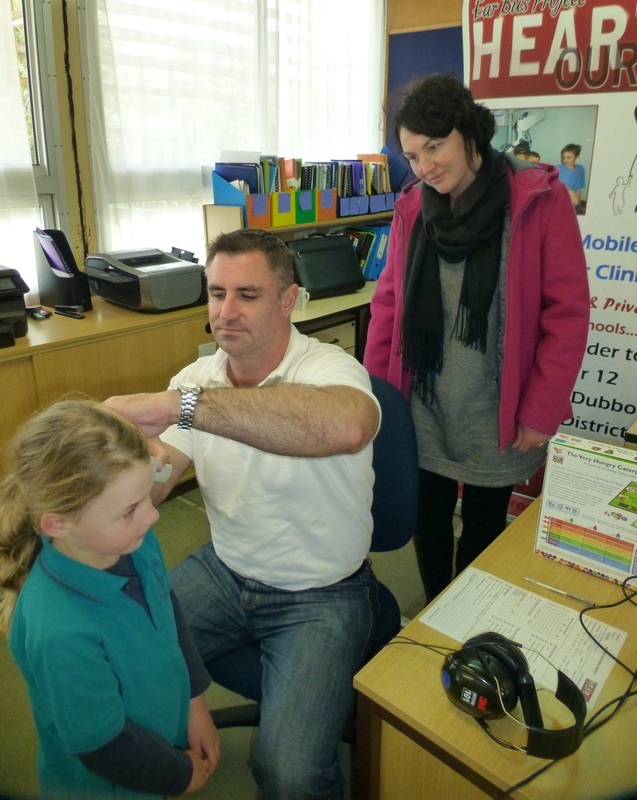 Due to the large amount of money that Wellington Public has raised for us this year the bulk of the testing spots were given to them. 104 children throughout the 2 days and had 42 follow ups. Our testing team: Wellington Aboriginal Medical Screeners Trish George and Trish with Hear our Heart's Gordon Rutter. 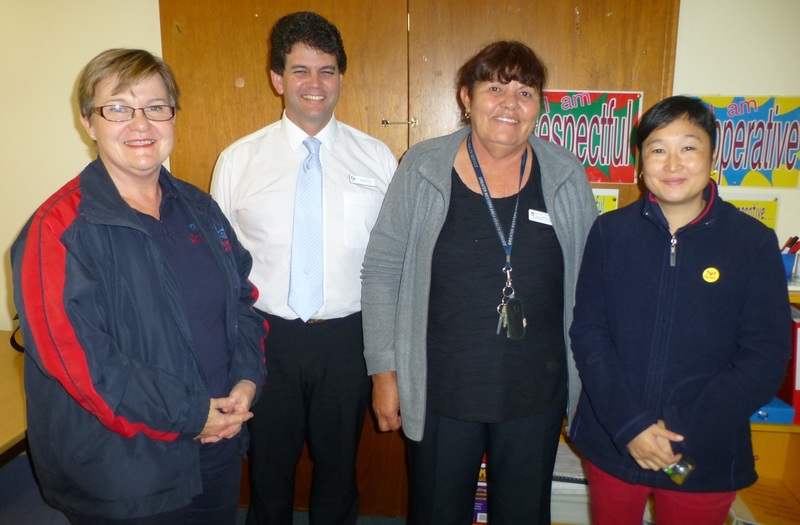 5th November 2014; The launch of our project in GILGANDRA. Hearing lessons DAY ONE. 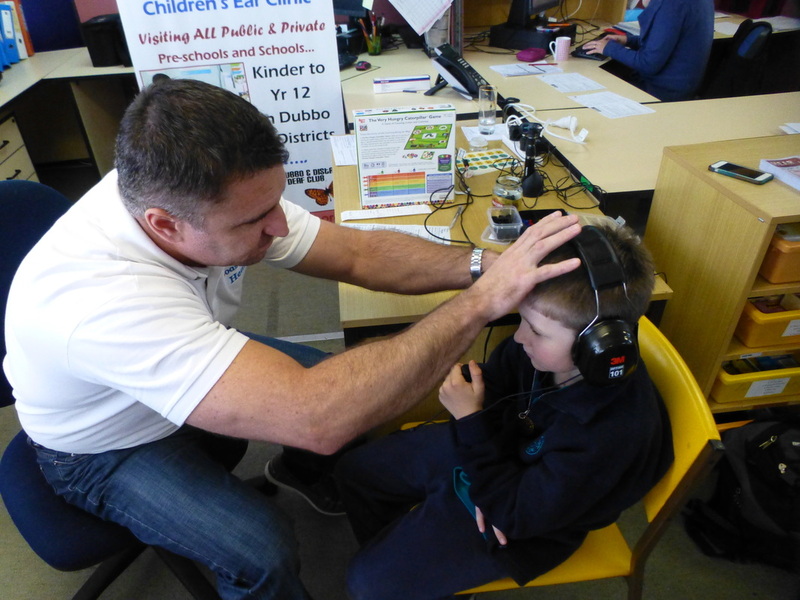 What a pleasure to work with teachers and children who are very keen to learn about keeping your ears healthy. We were warmly welcomed by the Staff at Gilgandra Pre-School who, after having a turn of wearing the ear muffs to simulate glue ear, were keen to get nose blowing happening at school everyday. Puppets Sam and Lucy are having a sleep over with them for a week and the kids are so excited. 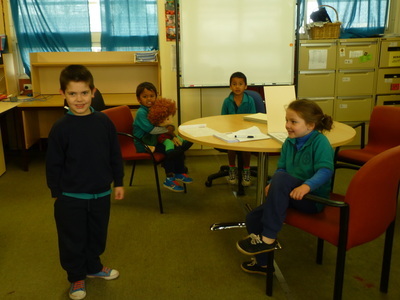 St Joeys came to the Public school to join in the Puppet Shows and Nose Blowing Program. It was great having all the kids together. Sam and Lucy number 2 decided to go back to St Joeys for a sleepover to practice more nose blowing. Sam puppet promised to behave as he does get a little naughty when he has a snotty nose!!! 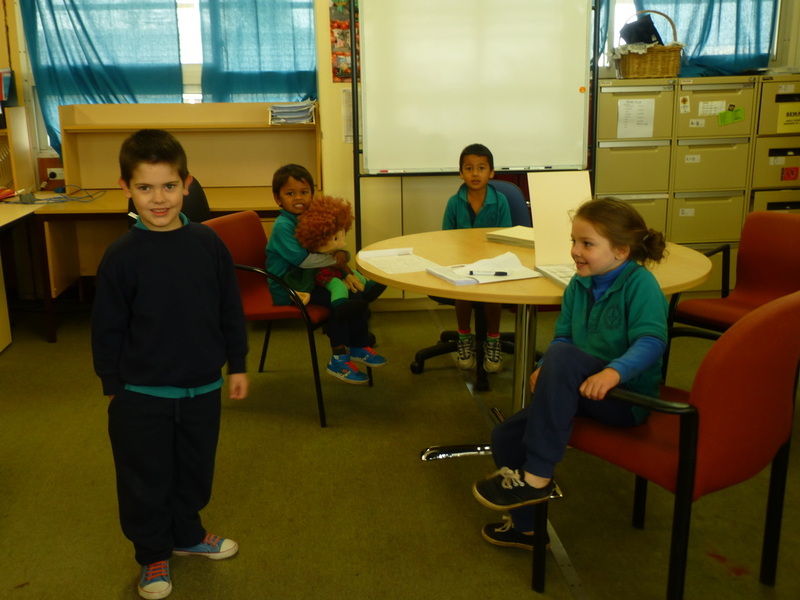 We were impressed with the amount of Public School kids who remembered when the puppets visited in February, all about the Eustachian tube and how it is important to keep it clear by nose blowing. Kinder and Yr 1 have been doing it every morning since then. Year 2 and 3 will now be joining in as well. 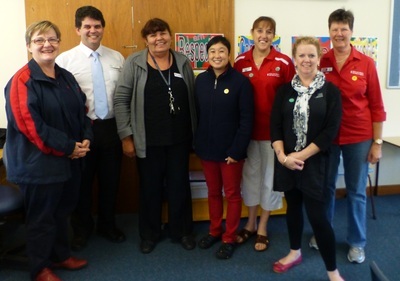 After School we ran a Staff education session which had staff from all schools attend. We also had staff from the Hospital. Its great to see everyone wanting this project so badly in their town. Next Wednesday we are back to do the Puppet Show at the Premier Centre, High School and Yrs 4/5/6 from both Primary Schools. Thanks to Gil HOH Coordinator Natalie Thurston and her team of hard working people for organising our visit today, next Wednesday and for the 2 hearing testing days on 17/18th November then back again in the 2nd week of December. 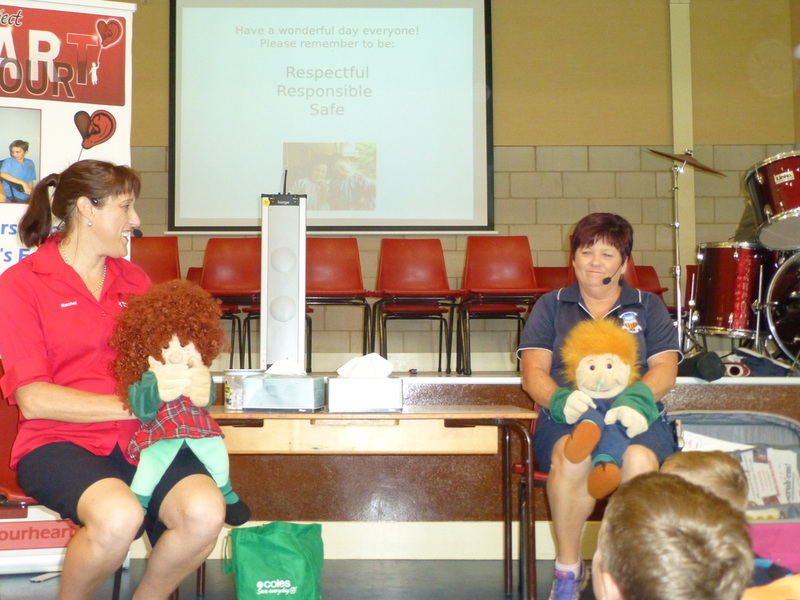 As you have read above, we spent two lovely days in GILGANDRA educating preschoolers, students, parents and teachers all about otitis media and what our Hear Our Heart Ear Bus Project are aiming to do to help. 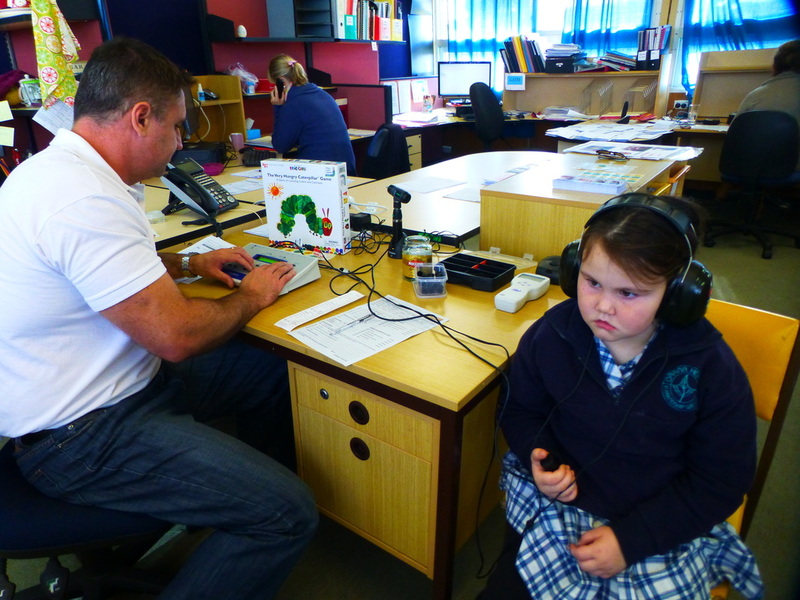 The town of Gilgandra was the first ever District town on the Ear Bus Route to have hearing testing at EVERY single school in town. 5 Schools. Phew, that's a lot of hard work!!! We started on Monday morning 17th Nov at Gil Pre School, then moved on to the Primary Schools. 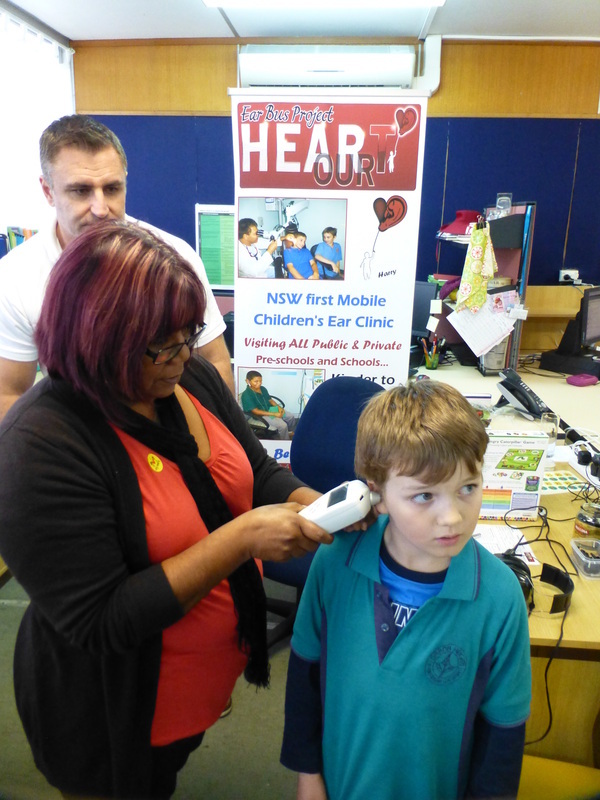 We parked at St Josephs church car park and kids from the Public, High and St Joeys all came to the Royal Far West Care mobile to have their hearing tested. We are very thankful to have the loan of the Care Mobile and its driver Tom, who was a great help. Gilgandra local Nurse Audiometrist Margo Piggott worked for the 2 days with our Audiometrist Gordon Rutter from Central Coast Hearing. 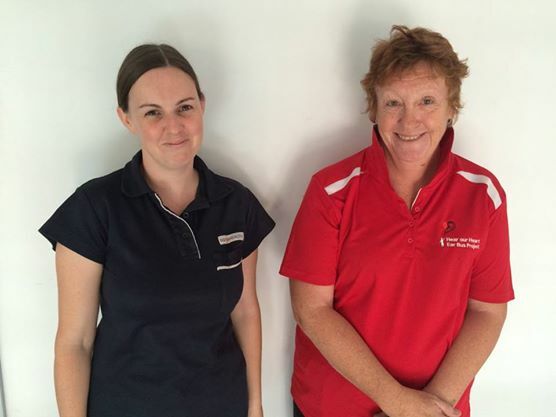 We would like to thank Health Manager Maryanne Chatfield for supplying Margo and her trainees Erin Blanche and Rachel Kirsop for the 2 days. This enabled more children to be tested. Gordon was also able to up skill the girls on the latest best practice techniques. On Tuesday we started at the Premier Centre then move to the High School at 11am where the Mayor called in to see how the testing process works. He had lots of questions about what happens next to the kids and was relieved to hear that we do the follow up with them. By 1:30 we moved on to St Joeys again to test kids from both Primary Schools. Lucie Wightman from the Gilgandra Times Newspaper popped in to do a story and Margo gave her a hearing test too!!!!! Exact figures have not been counted yet but over the 2 days we tested almost 100 children with almost HALF of them needing follow up services. Some will be coming with us to the Ear Specialist Clinic day next week and 2 need to go to Australian Hearing to be assessed for a permanent loss. We will be back in 2 weeks to finish the children that we didn't get done. The Care Mobile will also be loaned to us for this week and we are grateful for this very important partnership. Here are some of the Gilgandra students having their follow-up specialist appointments with Dr Quddisi at Dubbo Base Hospital Specialist Medical Centre.